As you can see, we have a new website! If you first joined us in July 2018, you can enjoy the benefits of a new Customer Area. 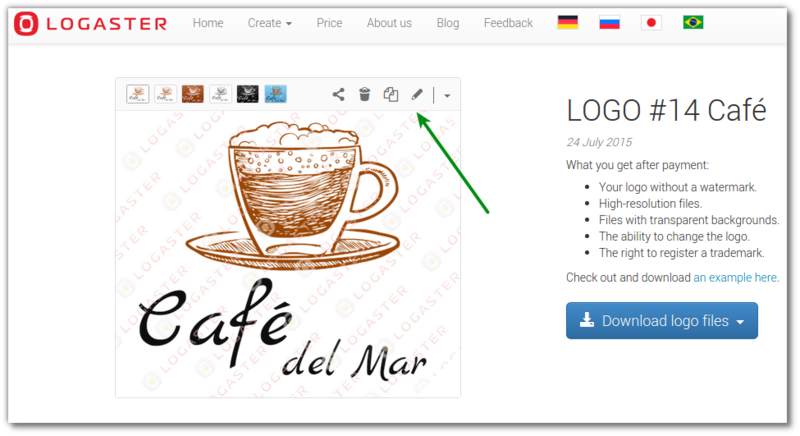 In this article, we’ll talk about how to edit your logo on both the old and new Logaster websites. A few days ago, you were happy with your new logo but now it looks like a design failure to you. The colors are too bleak. The icon seems out of place. The font doesn’t match the icon. Don’t worry! You can edit your design any time in your Customer Area. We’ve created a few simple guides to make your user experience on the Logaster website as smooth as possible! 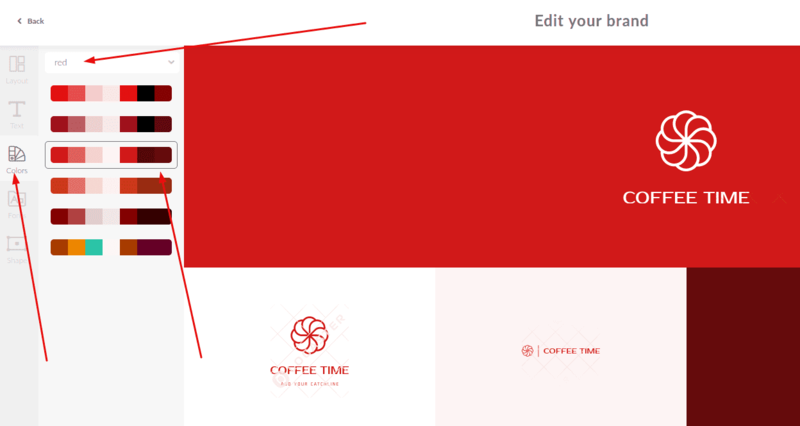 Using our editing tools, you can correct any mistakes you’ve made when creating your logo design. Changing the color, font, or text is easier than you think! 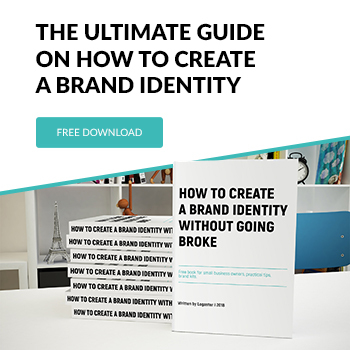 How do I change the corporate color of my brand? 1. 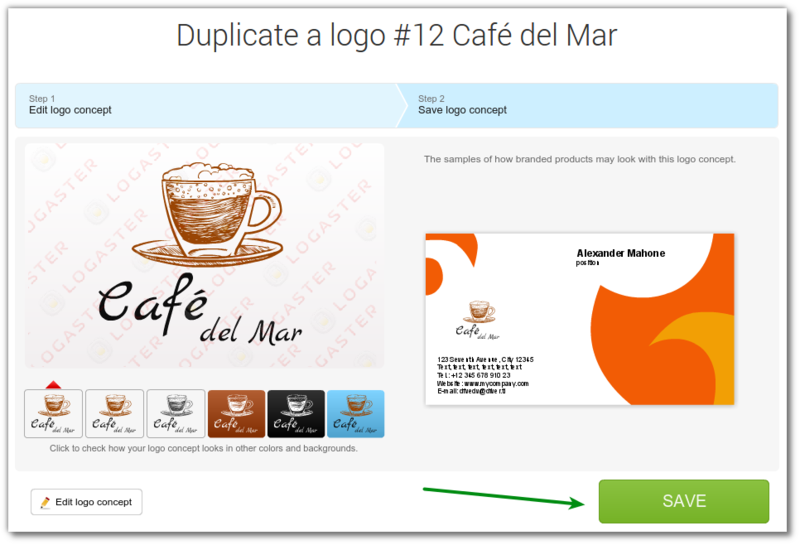 Go to the logo page in your Customer Area. 3. Open the “Colors” tab. 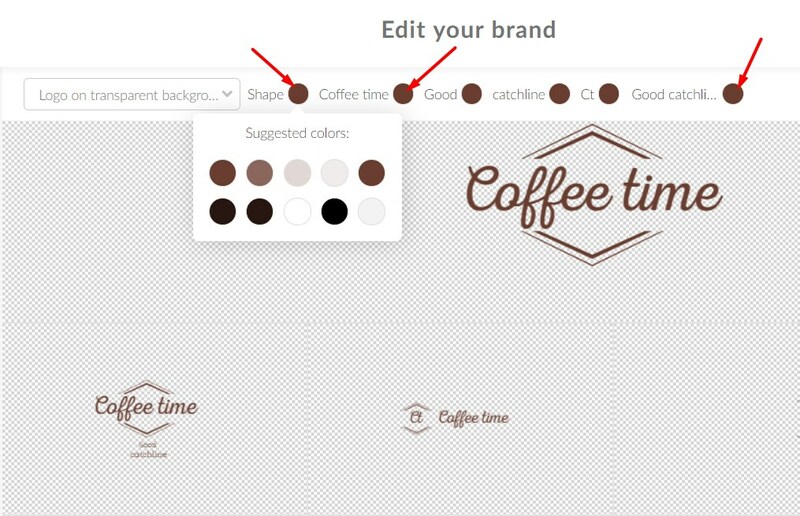 Choose the right color scheme and save changes. 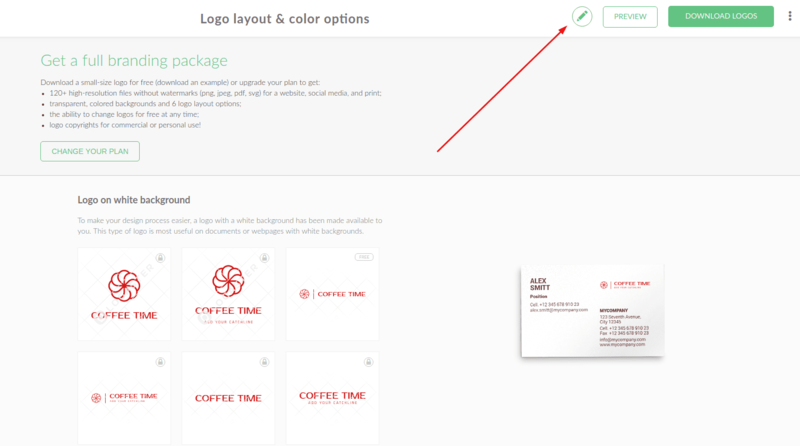 How to change the color of a logo or text? 2. 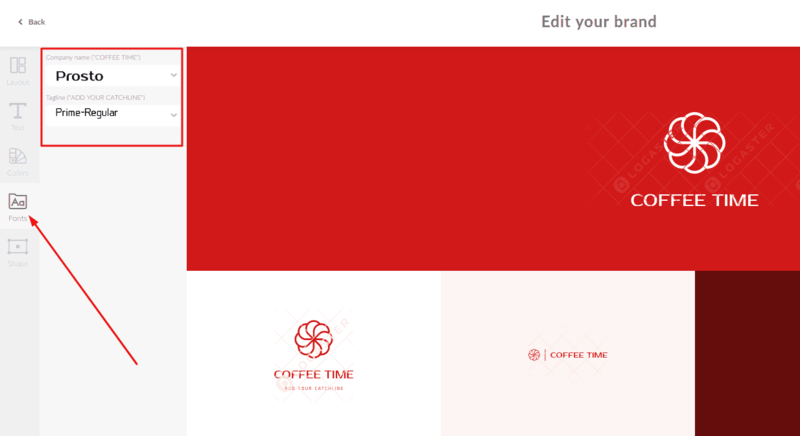 For example, you can select the background “Logo on the transparent background” to get a white logo on this type of background. 3. 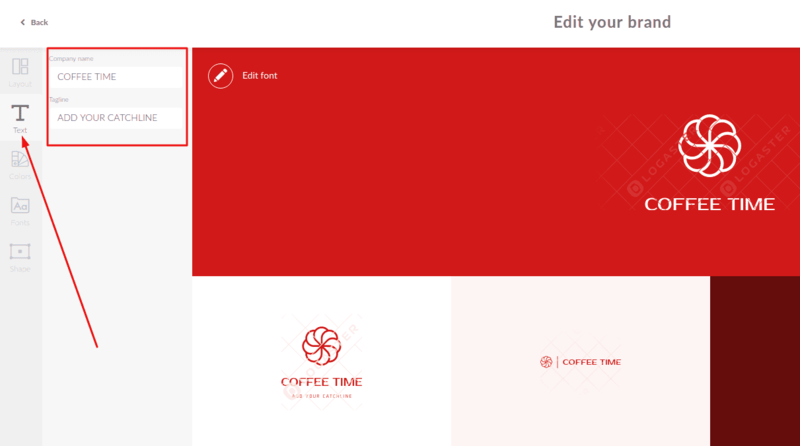 Here, you can edit the color of the icons (shapes), brand names and/or a slogan by clicking on the color change button and selecting the color you like. 4. Save made changes. 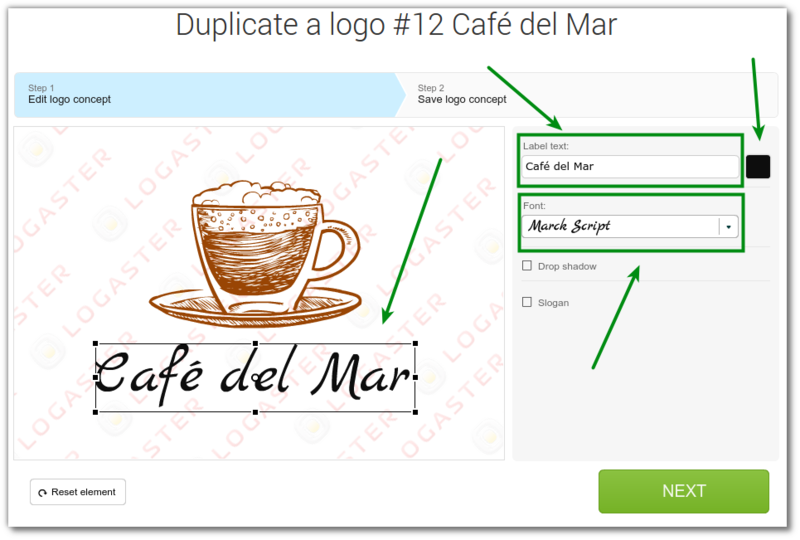 Changes will be made only in those logos where you have used the transparent background and they will not affect the business card or products for branding in social networks. How do I change the font of my logo? To change the font of your company name, slogan or monogram, go to the “Fonts” tab. How do I change the text of my logo? To change your company name, slogan or monogram, go to the “Text” tab. If your company’s name consists of several words, you can break it into two parts and place the second part under the name as a slogan. 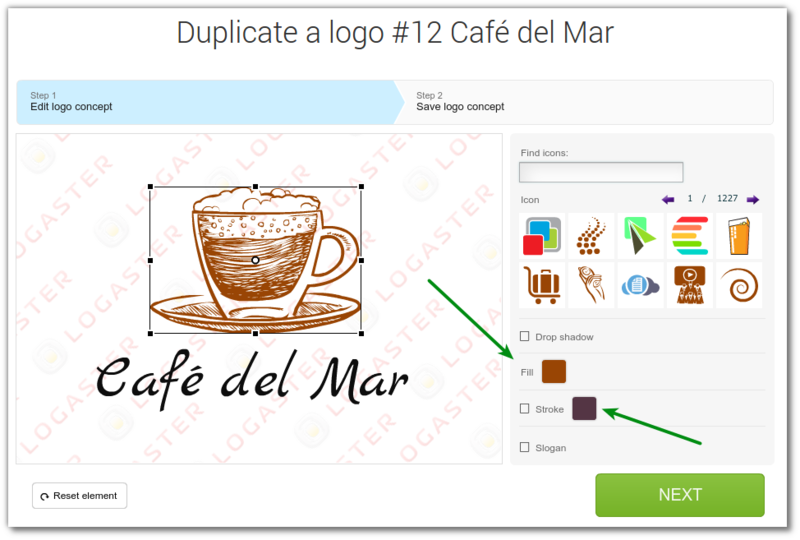 Plus, you can edit the icons of your logo and resize your logo elements. 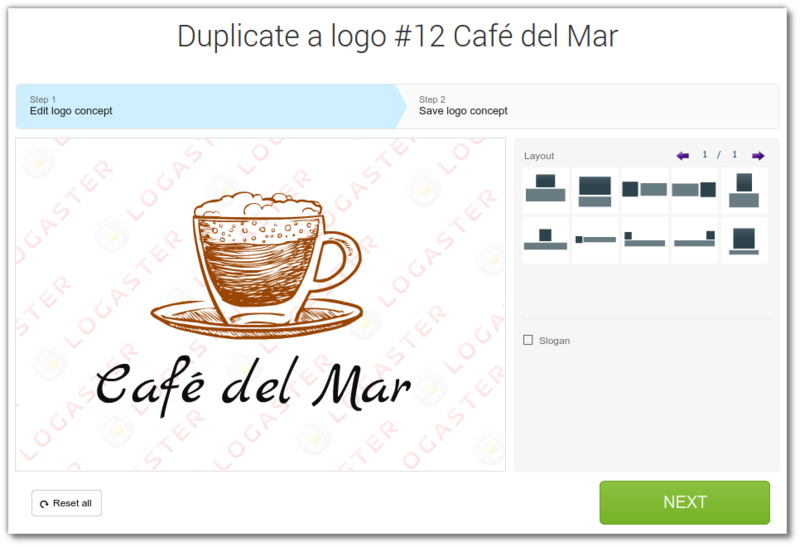 After paying, you can make any changes to your designs and download them for free. Feel free to contact us with any questions. We’d be happy to help you! 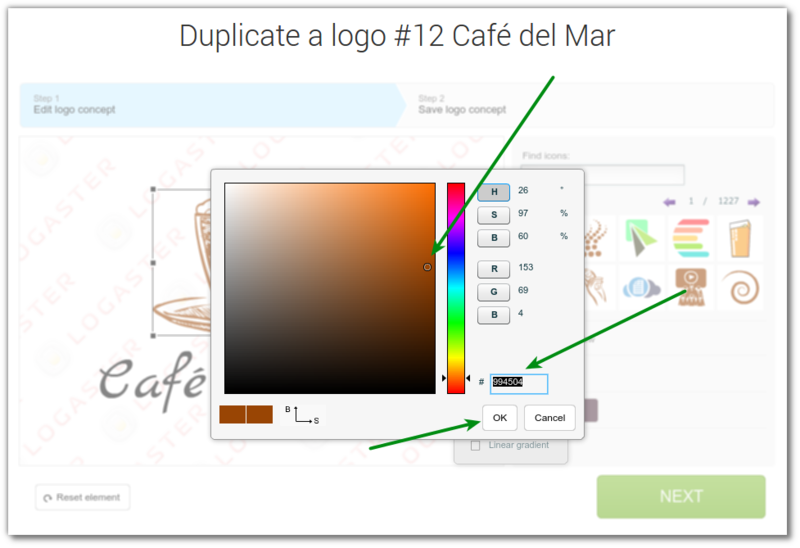 Today we will show how to change the color, font, text of logo or other products. 1. Go to the product page in your account. 2. 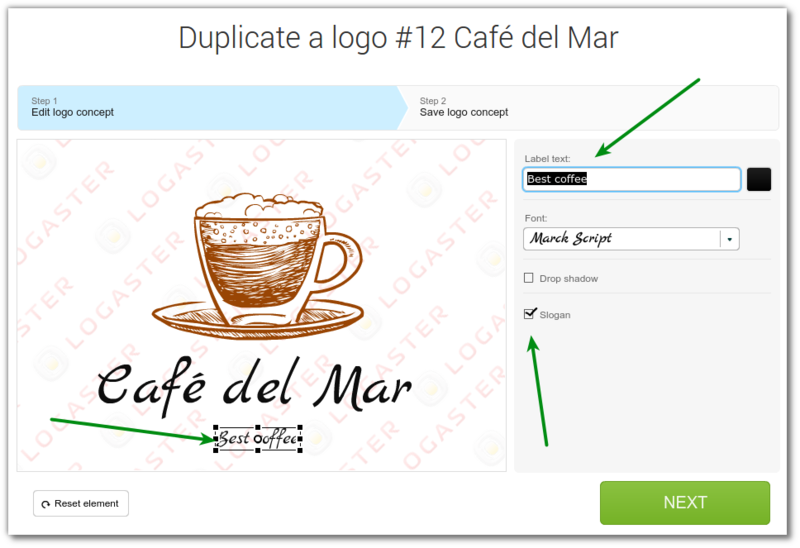 Click “Change” or “Duplicate” if you want to change a font of logo. 3. 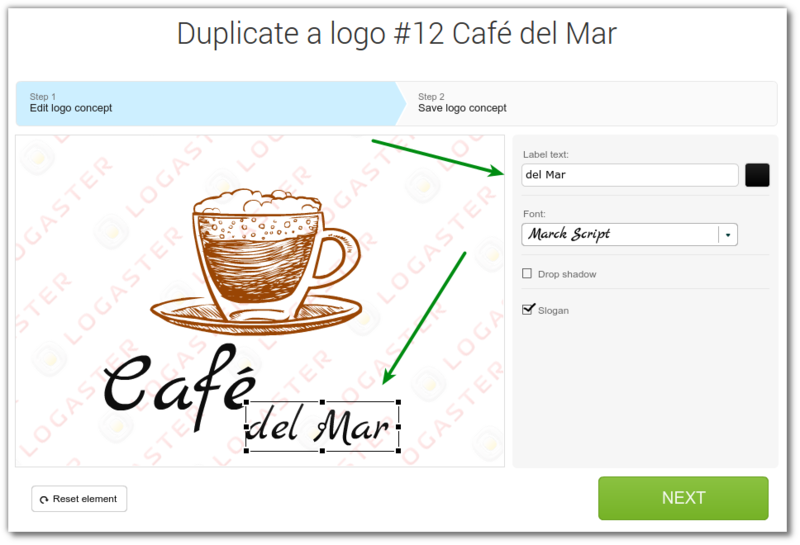 In launched Wizard you can edit the design aspects. 3.1 To change the color, click on the icon or text. 3.1.2 Then click on fill and stroke colors. 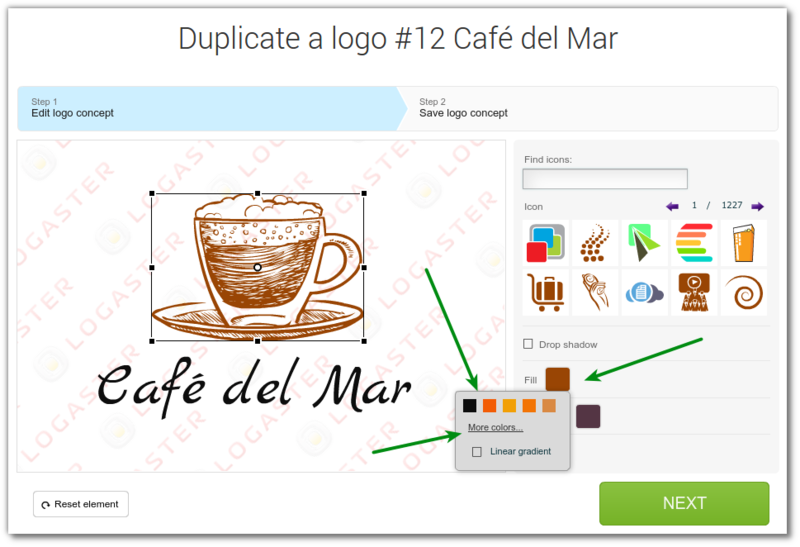 3.1.3 You can choose the colors schemes offered by Logaster, or add your own clicking on “More colors”. If you want to specify RGB color code, click on color code on Wizard and insert your code. 3.1.4. Once you’ve picked a color, click “OK” and “Next” to save the design. Similarly, you can change the text color. 3.2. 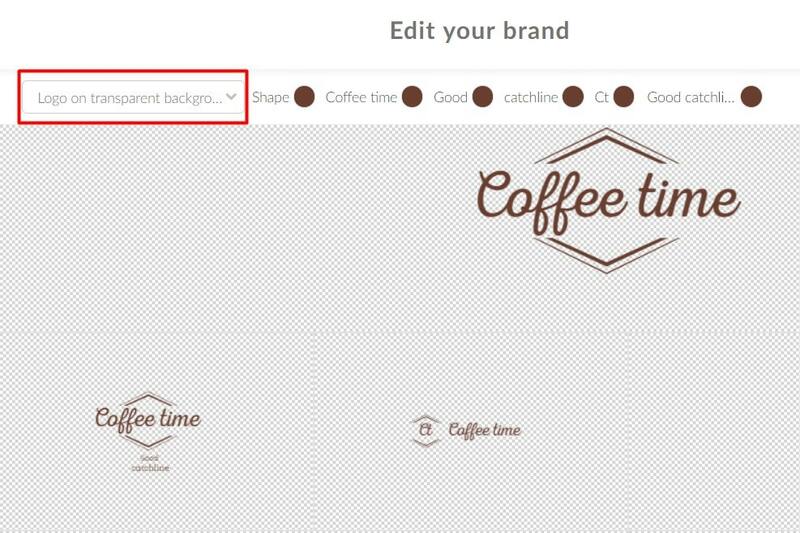 To change the font or a text of a logo, click on the text. On the right sidebar you can select a different font, or change the text. You can also add a slogan. It can be used for its intended purpose or as a part of the name of the logo. For example, if the company name is too long, it is possible to transfer part of the words to the second line by adding a slogan to these words. 3.2.1 Save the design by clicking “Next”.